This article was written by Raj Krishna and Kumar Mukul Choudhary, both students of Chanakya National Law University, Patna. Justice P.N. Bhagwati defined legal aid as an arrangement in the society which makes the machinery of administration of Justice easily accessible and in reach of those who have to resort to it for enforcement of rights given to them by law. Legal aid to the poor and weak is necessary for the preservation of rule of law which is necessary for the existence of the orderly society. The present paper deals with the constitutional and legislative provision for legal aid. The researchers have also discussed about the origin of free legal aid and the judicial history of free legal aid in India. At the end researchers have suggested certain possible changes which shall help in improving the situation of legal aid in India. Legal aid implies giving free legal assistance to the poor and weaker sections of the society for the conduct of a case or a legal proceeding in any court, tribunal or before an authority with the object to enable them to exercise the rights given to them by law. Inability of an individual to get a legal advice because of paucity of money too amounts grave injustice. Rawls first principle of justice states that each person is to have an equal right to the most extensive total system of equal basic liberties compatible with a similar system of liberties for all. Free Legal aid is hence the best method to be adopted in order to ensure that, no one is debarred from professional advice because of lack of money or any other disability. The Encyclopedia Britannica defines legal aid as phrase which is acquired by usage and court decisions, a specific meaning of giving to person of limited means grants or for nominal fees, advice or counsel to represent them in court in civil and criminal matters. Free Legal aid as a Constitutional Right has gained popularity in the civilized states in late 20th or 21st Century, but in fact this very constitutional right has a great historical background. Thus on the green meadows of Runnymede was sown the constitutional seed of legal aid in the modern world which has travelled to all the continents as part of civilized jurisprudence. However, it was in the 20th Century when the concept of legal aid properly developed. This is the time when the legal and jurisprudential world found legal aid important for the purpose of delivery of justice to poor and needy, for the great well-being of the human community. Aftermath of First World War, the concept of human right developed. League of Nations played a vital role in it. Many conventions were passed by the League of Nations for the development of human rights. However, none of these Human Rights Declaration mention about free legal aid. This very right has evolved over a period of time. The United Nation Conference on Prevention of Crime and Treatment of Offenders 1965 also recognizes the right to free legal aid in criminal cases, as a tool of achieving social justice and welfare. The Convent on Civil and Political Rights of 1968 also recognizes the importance the legal aid and its importance for justice. Lord Denning too considered Free Legal Aid as a very important constitutional right. Hence, from above it can be said that Free Legal Aid as a right has evolved over a period of time. Even though we do find mention of free legal aid in Magna Carta, however, it was in the 20th century when this very constitutional right fully developed across the civilized nations. It was in the Hussainara Khatoon case wherein the Supreme Court of India for the very first time pointed out that Article 39-A emphasized that free legal service is an inalienable element of reasonable, fair and just‘ procedure and that the right to free legal services were implicit in the guarantee of Article 21. Two years later, in the case of Khatri v. State of Bihar, the court held that the state is constitutionally bound to provide free legal aid not only at the stage of trial but also when the accused is first produced before the magistrate or remanded from time to time and that such a right cannot be denied on the ground of financial constraints or administrative inability or that the accused did not ask for it. In the case of Suk Das v. Union Territory of Arunachal Pradesh, Justice P.N. Bhagwati, emphasized the need for creating legal awareness to the poor as they are unaware of their rights more particularly right to free legal aid. He further observed that in India most of the people are living in rural areas and are illiterates. Thus, they are not aware of the rights conferred upon them by law. Hence, promotion of legal literacy becomes important. In the case of State of Maharashtra v. Manubhai Pragaji Vashi, the Supreme Court made it clear that the failure to provide free legal aid to an accused at the cost of the State unless refused by the accused itself would vitiate the trial. Whereas in M.H Hoskot v. State Of Maharashtra, Justice Krishna Iyer observed that providing free legal aid is the State’s duty and not Government’s charity. 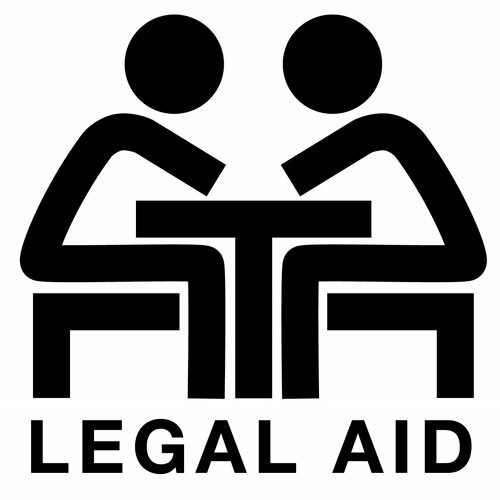 There are many statutory provisions in regard of free legal aid in India. Article 39A of constitution of India, states that the State shall secure that the operation of the legal system which shall promotes justice, on the basis of equal opportunity, and shall, in particular, provide free legal aid, by suitable legislation or schemes or in any other way, to ensure that opportunities for securing justice are not denied to any citizen by reason of economic or other disabilities. Article 14 and 22(1) also makes it obligatory to the state, to provide equality before law and legal system, which provides for justice based on equal opportunity to all. And the constitutional spirit is fulfilled, with equal justice available to the poor. (1) Where, in a trial before the Court of Session, the accused is not represented by a pleader, and where it appears to the Court that the accused has not sufficient means to engage a pleader, the Court shall assign a pleader for his defence at the expense of the State. (c) the fees payable to such pleaders by the Government, and generally, for carrying out the purposes of sub- section (1). (3) The State Government may, by notification, direct that, as from such date as may be specified in the notification, the provisions of sub- sections (1) and (2) shall apply in relation to any class of trials before other Courts in the State as they apply in relation to trials before Courts of Session. However, these provisions were not sufficient enough. Therefore, the government enacted the Legal Services Authorities Act in 1987. This act provides for legal aid how to be made, whom to be made, and who are eligible to get the legal aid. Section 12 of the act provides for the list of people who are eligible to get legal aid from legal services authority. This act creates a hierarchy of authorities from Center to Taluk level for the purpose of providing free legal aid to the weaker section of the society. This act also has provisions for Lok Adalat [Section 19-22]. Lok Adalat has been created for settling petty offences out of the court. This will help in reducing the burden of courts and will also help people in getting their matter disposed of earlier. These statutory provisions are important because legal aid and equality before the court of law are very important in order to achieve the goal of justice, which is the aim of Indian legal system. Legal aid is not a charity or bounty, but is an obligation of the state and right of the citizens. The prime object of every state is equal justice for all. This can only be achieved if the poor illiterate people are imparted with legal knowledge and are provided with free legal aid. Further while providing Legal Aid, the Legal Aid institutions at all level should use proper ADR methods so as to speed up the process of compromise between parties to the case and with that matter will be settled without further appeal. This will save time of both court and the parties. There are number of precedents as well as legislations to up hold the right to free legal aid but they have just proven to be a myth for the masses due to their ineffective implementation. Thus the need of the hour is that one should need to focus on effective and proper implementation of the laws which are already in place instead of passing new legislations to make legal aid in the country a reality instead of just a myth in the minds of the countrymen. Constitution of India, Art. 39A. Constitution of India, Art. 14 and 22(1). John Rawls, A Theory of Justice (1st edition 1971). Mamta Rao, Public Interest Litigation – Legal Aid and Lok Adalats, (4th edition, 2015). European Convention for Protection of Human Rights 1953, Art. 6(3)(c). United Nation Conference on Prevention of Crime and Treatment of Offenders 1965. Convent on Civil and Political Rights of 1968. Lord Denning, What Next in the Law (1st edition, 1982). Hussainara Khatoon v. State of Bihar, (1980) 1 SCC 98. Khatri v. State of Bihar, AIR 1981 SC 262. Suk Das v. Union Territory of Arunachal Pradesh, AIR 1986 SC 991. M.H. Hoskot v. State of Maharashtra (1978) 3 SCC 81. Constitution of India, Art. 39 A. Code of Criminal Procedure, 1973, Sec. 304. Legal Services Act, 1987, Sec. 12. Prof. Marathe & Dr. Choudhary, Constitutional and Legal Framework of the Right to Free Legal Aid in India, Epitome Journals, Vol.2 Issue 9, September 2016. RESERVATION: IS IT MEETING THE ASPIRATIONS OF REAL STAKEHOLDERS?